I am Kadimisetty Satya Seshu Kumar eldest son of Dr. K.Satyanarayana and Smt (Late) Lakshmikantham. I am eldest grandson of Dr. Namburi Hanumantha Rao. 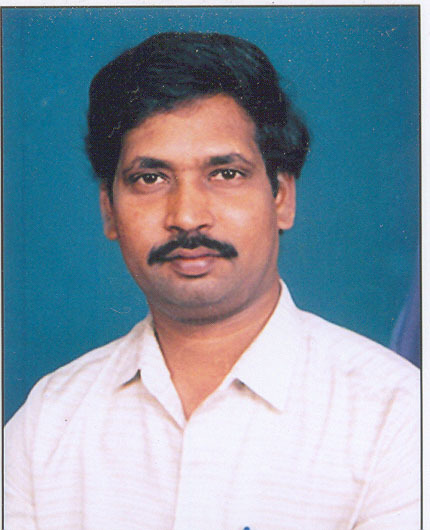 I am son-in-law of Dr. (Prof) S. Surya Rao (Retd. Prof IIT-Kanpur). Ours is a medical community with expertise in manufacturing and marketing of herbal products / services along with good initiative in alternative therapies. (Please visit www. Srisms.com and www.anmolnaturals.com). One day I attended an Arya Vysya meeting in Vijayawada where people of all sorts gathered in a meeting and started expressing their views. One of the participants was highlighting our Arya Vysya community. I was surprised to know these facts and wanted to know more about this. When I ventured in the internet I found more staggering facts about the rich heritage I actually belong. Since my marriage has an internet reference, I also had the idea of promoting some sort of service for our community some four years ago. Coupled with the idea and the facts I have decided to launch an exclusive Arya Vysya website with matrimonial service on non-profit basis. This concept was given a terrible boost with ideas pouring in day by day and I was in the middle of an ocean of the entire concept. What I wanted to start as a small service has emerged as a giant of astronomical proportions. I am starting this journey with few data and ideas. My humble request is, please refer this site to your kith and kin, other members in your family and friends and get known of our epics, etiology and basics at least to some extent, so that our values don’t die with us. Not just for matrimony but to know about ourselves. Our forefathers some 1000 years ago went even to Africa to trade, even a port called Komati is there as a proof, why cant we initiate our people at least to know it ? I request the entire Arya Vysya community to come forward and provide me details of various sorts that belong to our community and places. They shall be included with your name behind. Every update with photographs shall be included in this site. Please extend your valuable support and make our small effort an event for everyone’s life.